Sale Sharks club captain David Seymour has signed a new contract, believed to be for three years. 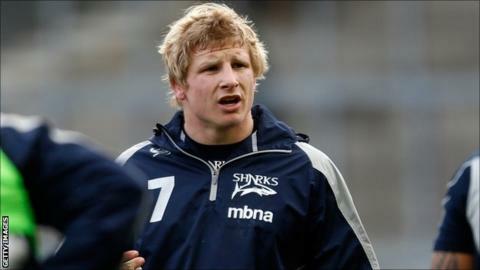 The 28-year-old flanker, who has been at Sale since a move from Saracens in 2009, has committed to the club's Premiership survival bid. "I have enjoyed my time at the club and, whilst we are currently at the foot of the Premiership, there is a good strong team spirit," Seymour said. "We feel we can rescue our season and reward our loyal fans." Seymour continued: "I look forward to spending my future years at the club." He was awarded the captaincy ahead of Sam Tuitupou at the beginning of the campaign and has played 15 games for the strugglers this season. Director of rugby Steve Diamond added: " I have had the pleasure of coaching David at both Saracens and Sale Sharks. "He is a great player and a natural leader. We are delighted he has agreed a new deal."